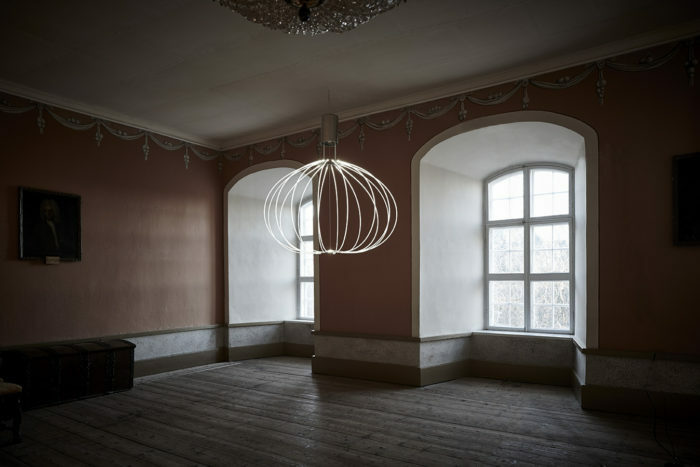 Medusa light is designed by Finnish designer Mikko Paakkanen who has been affected in many different kind of areas where top design is needed in last few years. 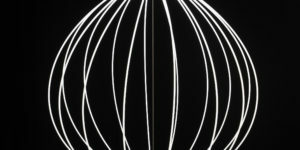 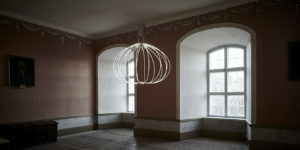 The unique light fixture by Mikko Paakkanen has drawn its inspiration from the movement of a jellyfish. 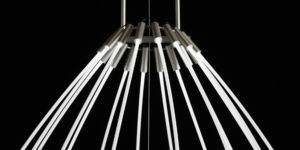 The fixture is made of side emitting fibre optic rods lit by high intensity LED’s. 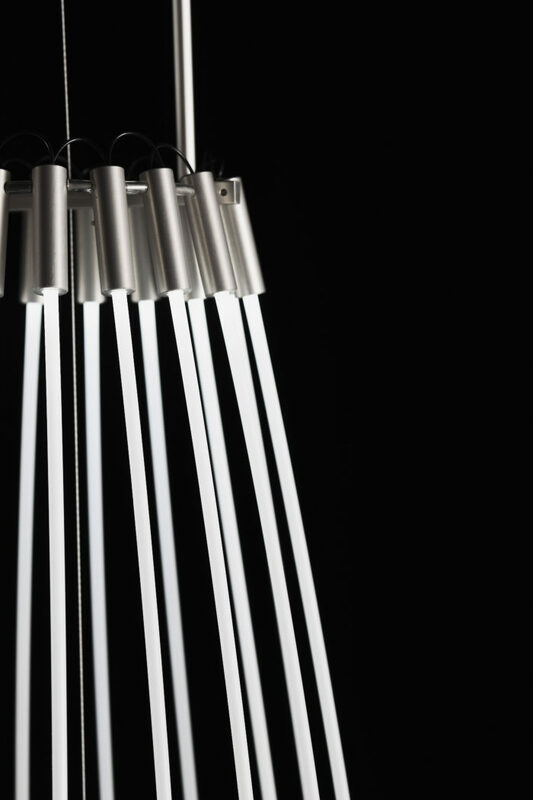 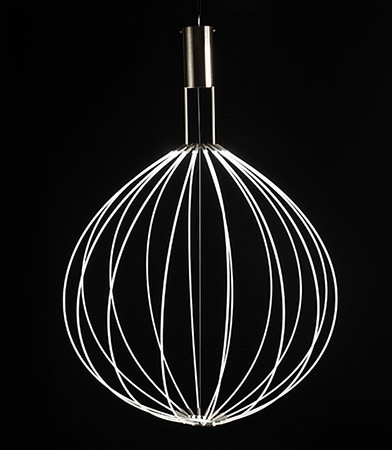 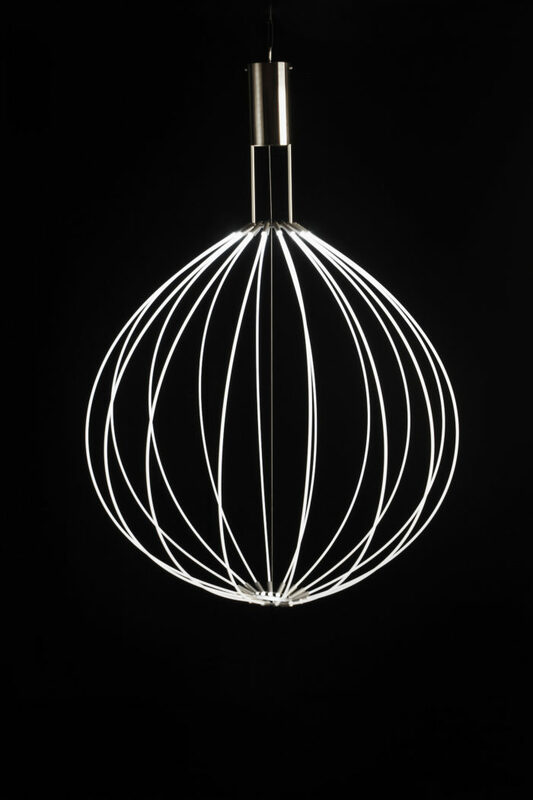 A microprocessor controlled motor moves the fixture and makes it change its shape in a hypnotic way. 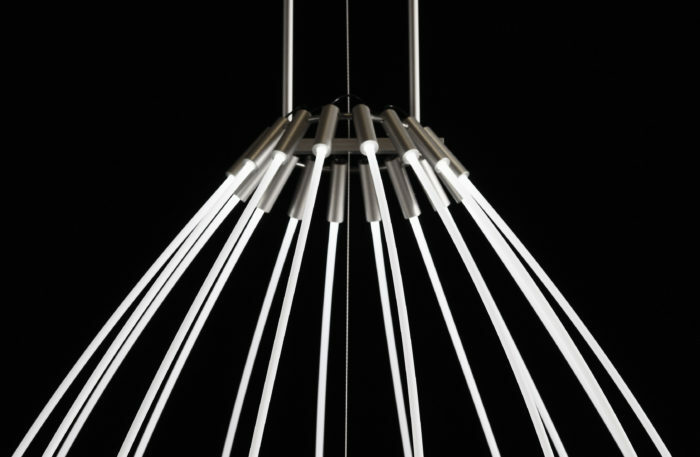 The movement can be stopped at any stage, giving you the possibility to choose your favourite shape of the day. 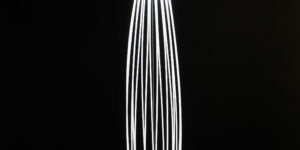 Size of Medusa: Depending on movement 1900 x 250mm to 1200 x 1000mm. 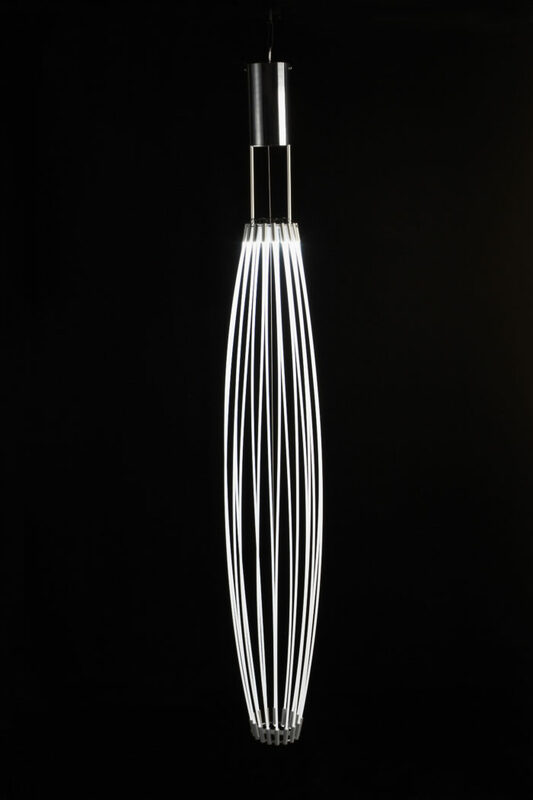 Mikko Paakkanen (b.1975) both a cabinet maker and designer combines new ideas, problem solving and fun in a way that is evident in the Medusa. 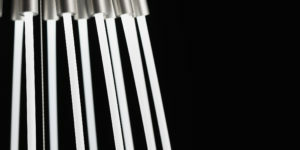 Mikko Paakkanen was elected as Young Designer of the Year 2006 by Design Forum Finland.